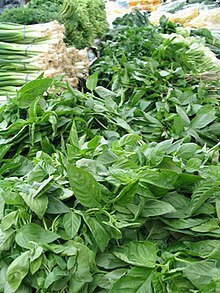 An yerb is a plant growed for culinary, heal, or in some cases e'en speeritual vailyie. The green, leafy pairt o the plant is for ordinar uised. Ordinar uiss differs atween eatin yerbs an leiche's yerbs. A leiche's yerb micht be a buss or ither widden plant, whan an eatin yerb isna the widden pairt o a plant. This page wis last eeditit on 13 Februar 2018, at 07:42.